Let’s be real, no one likes the feeling of cold flooring on their feet when they step onto the floor. If you’re looking to have your home not only look warm and cozy but feel warm and cozy, one way to achieve this is with your flooring. There are many different warm flooring options to explore, from soft carpet to showers with in-floor heat. Flooring materials, in general, have a range of different textures and colors that portray warmth and some retain heat better than others. Carpet: Carpet and area rugs are naturally the warmest of your flooring options. In both color and materials, carpet can be utilized in many rooms in your house to warm things up. 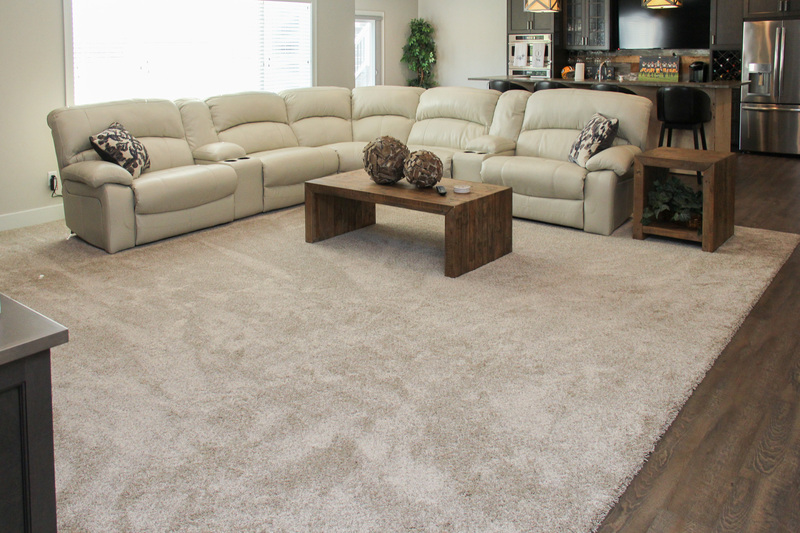 Typically, a carpet with a more plush material will be softer and have that cozy texture you are looking for. Carpet pad will also give you that little extra amount of cushion and help with heat retention. Selecting a carpet color with warm earth tones is a great way to visually make your home look warmer. Or you can consider adding carpet to your stairs to add a level of warmth and coziness to your home, and you have the option to do a full stair cover or just a runner, where you can still see some of the lovely wood beneath. Luxury Vinyl: Luxury vinyl is made in a myriad of designs, including wood looks. The natural look of wood can definitely give your space a cozy feeling. Plus all floating luxury vinyl has an attached sound barrier pad or cork attached to the bottom, which gives you a little softer feel underfoot and helps retain warmth so you’re not feeling chilled. Adding a heavy fiber or woven area rug under couches or dining tables will also help with making your luxury vinyl look cozier and add an extra level of warmth to the flooring. 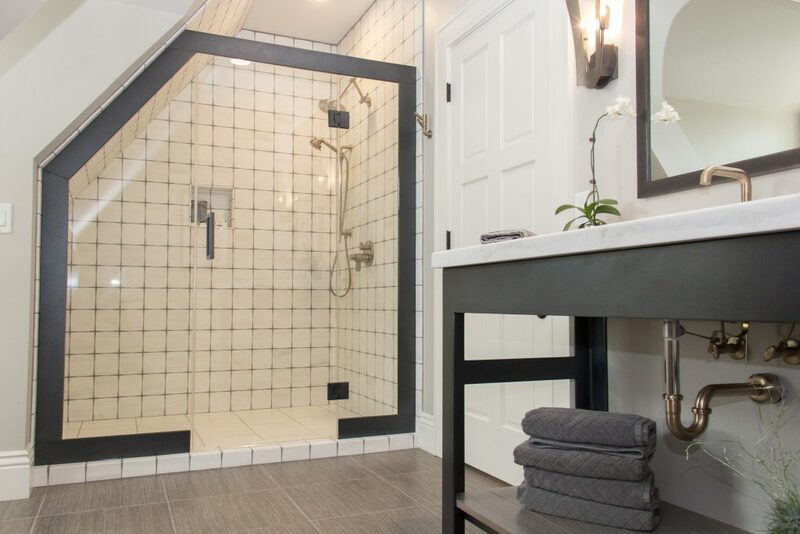 Tile: As durable, beautiful and versatile as tile is, it is one of the cooler materials you can install in your home. So, let’s talk about the wonders of in-floor heat and how it provides that extra level of warmth under your feet. In-floor radiant heat can be installed when building new or when replacing any flooring surface. It’s especially comforting in a tiled shower. At H.J. Martin and Son, we use the Schluter Ditra-Heat System for our heated flooring installation. The best part about in-floor heat is that it can supplement your home’s heating system, ensuring you have some of the warmest floors and home around. Fireplaces: As you can imagine, having a fireplace in your home can do wonders for keeping things super cozy. 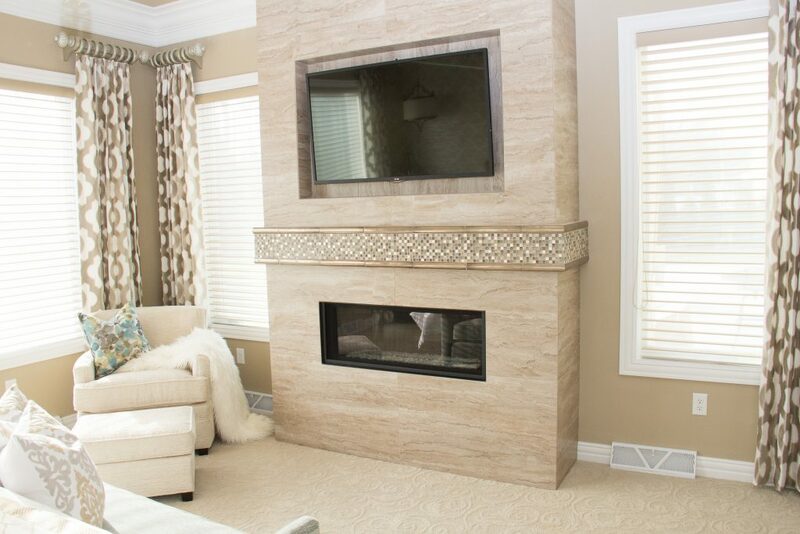 With the addition of tile or natural stone around the fireplace, you can easily create a nice ambiance, making your home super cozy and of course, warm. 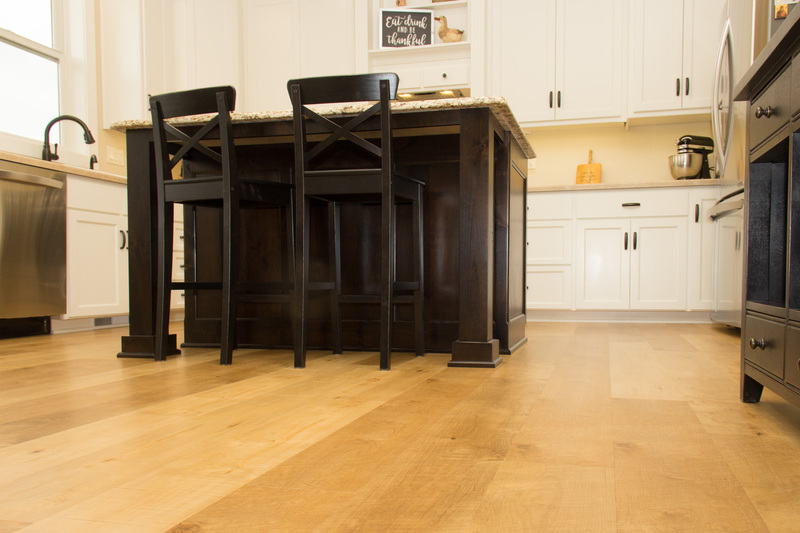 We have a brief breakdown of how to warm up your floors in this accompanying video! For more information about warm flooring, ideas to warm up your floors or in-floor heating, visit www.hjmartin.com or call 920-494-3461. You are welcome to set up a free design consultation with our talented interior designers, who will show you thousands of warm flooring options from cozy carpets to in-floor heat and beautifully warm-looking tile, all of which are perfect ways to warm up your home.